Mike Piescki has worked as a professional musician and a teacher of music in the United States and abroad. He has provided instruction to private drumming students and organized/conducted rhythm section master classes throughout his career. Performance and recording credits include guitarists Rhett Tyler, former Guns N’Roses and current Sons of Apollo guitarist Ron “Bumblefoot” Thal, Matt Schofield, Mattias Eklundh, Michael Powers, the “late great” Gordon Gaines, Larry Mitchell. Mike has shared the stage with Dream Theater’s Jordan Rudess, Clarence Spady, Johnny Winter, Brad and Kevin Russell, Mark Wood, Jon Hammond, Miami Sound Machine, Arista recording artists, No Mercy, Expose’, and Atlantic recording artists Nice n’ Wild. 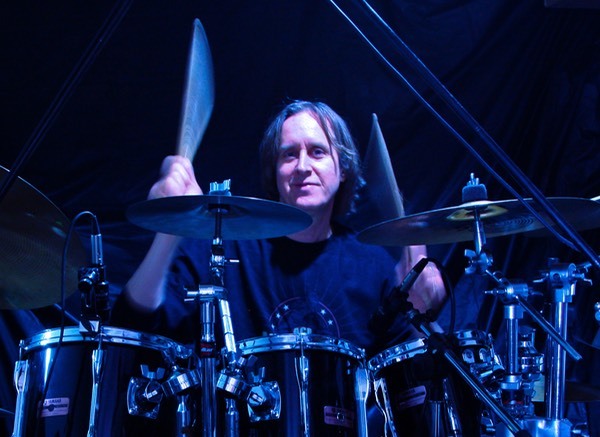 Mike studied drums privately with studio legend Gary Chester and Steve Rucker. He received his Bachelors Degree in Studio Music and Jazz Performance from the University of Miami, School of Music, Masters Degree in Education at The City College of New York, and Certificate of Advanced Study in Educational Administration at SUNY New Paltz. Mike is a licensed District and Building Level Administrator holding both SAS and SDA certifications as well as certifications in Education and Music. Mike is a leading educator in Music Technology, Music Education and Drumming and holds a position in the Bedford Central School District. Mike is a member of the Vic Firth and Remo Education Teams and proudly endorses their products.